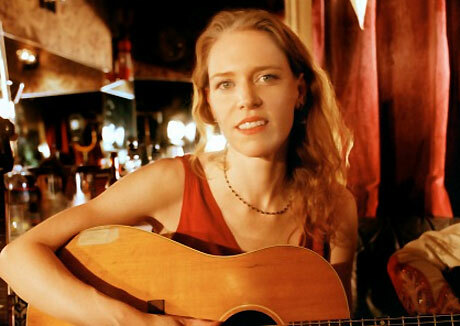 We'd almost given up on the idea of a new solo album from Gillian Welch. The bluegrass singer hasn't put out a new album since 2003's Soul Journey, but now she's finally getting ready to unveil the follow-up. The new disc is called The Harrow and the Harvest, and it will drop on June 28 via her own Acony Records. There aren't many details at this point, but NPR revealed that one of the songs is called "Scarlet Town." In the coming months, Welch will hit the road with Buffalo Springfield for a California tour and she will perform at this year's Vancouver Folk Music Festival. See her live schedule here. Of course, just because she hasn't released an album, that doesn't mean that Welch has been idle. Most recently she lent her vocal talents to the Decemberists for their The King Is Dead album. Watch her perform with the group below.